Lawless and unforgiving. A land where enterprising sorts could carve out a future for themselves and their descendants, often through somewhat questionable means. Messenger has, until recently, been similar to the Wild West. We’ve seen entrepreneurial kinds push the platform to its limits to see exactly what can be achieved. And these folk haven’t always abided by the common law of internet marketing. But it’s been great because it’s validated the platform. It’s shown that this is something that can provide a real benefit to digital businesses and drive surprising amounts of revenue. However, it seems the time of a lawless Messenger experience might be behind us. Facebook, as the local sheriff, have finally pulled their finger out and are imposing more rules and regulations on Messenger marketers. Whilst there’s always a knee-jerk reaction to new rules where people claim this will hurt their profitability and will damage the effectiveness of the channel, it’s actually good news. And that’s good news for marketers like you because it means Facebook is less likely to pull the plug and waste all your current efforts. But what are the recent Facebook developments that spell a bright future for Messenger Marketing and the world of conversational commerce? 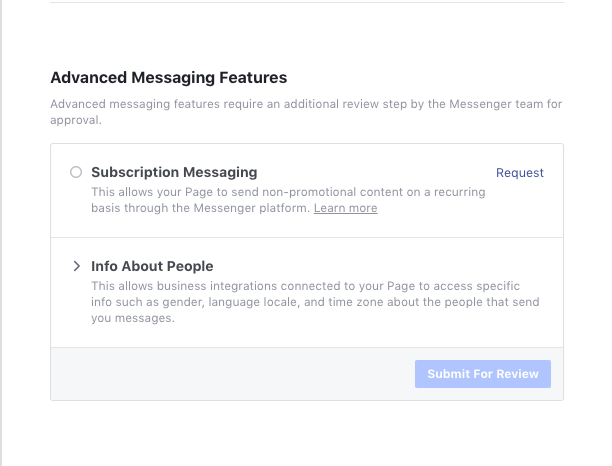 As it stands, the permissions you have to send messages through Messenger to your consumers is handled by the app or service you’re using to send messages. So apps like Recart, Many Chat, Mobile Monkey, or whatever are the ones who have to gain and hold permission on your behalf. But that’s all changing at the end of this year. Come December, subscription permissions are going to be given on a page basis, not on the app basis. The change is focused primarily on Facebook Messenger subscription messages. 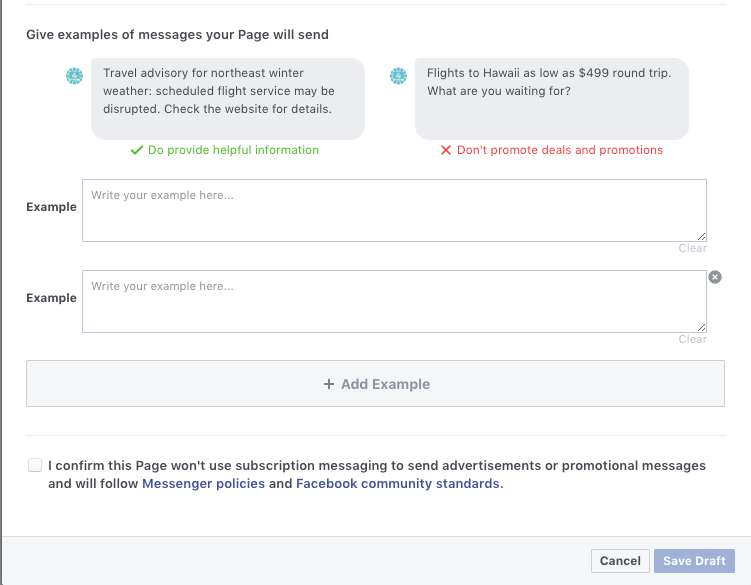 What’s A Messenger Subscription Message? Subscription messages are follow up messages sent 24 hours or more after a user has interacted with your brand on Messenger. They have to be non-promotional in nature and should fall into one of three categories: news, productivity, personal trackers. Anything that falls outside these three areas could get your permission to message users banned. That means notifications of flash sales, cart abandonment, or anything else that’s explicitly selling a product. 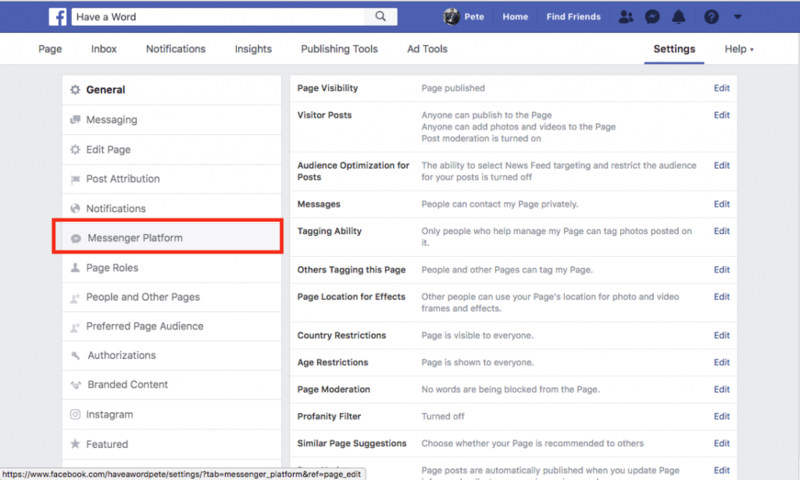 The permissions for this are moving from brands like Recart, to you the page owner. What’s this going to change? The same rules still apply it just gives Facebook more granular control over who they punish for breaking the rules. As long as you’re abiding by the rules, you should be fine. However, you are going to need to ensure that, prior to the December implementation date, your page has had the permissions approved for subscription messaging. If you don’t then you’ll still be able to send promotional messages to mass amounts of users, but you’ll just have to pay for it. We’re not yet sure how much that’s going to cost, but if you have a large list then it’s not going to be cheap. Getting approved is something you should put to the top of your priority list. Here’s a step-by-step guide to submitting approval for your page. Just head to your page and click on settings in the top right. An example from one of my sites that sells freelance writing information products. When in your settings, scroll down until you see the tab for the Messenger platform. Click that and go through to the next page. Here, you want to scroll down about 2/3rds of the way until you see the section for Advanced Messaging Features. Find that, then click “request”. This next page is where it gets a little more complex. All requests are manually reviewed. That means there’s a real person on the other end who has to give you permission to send subscription messages. As such, they’re going to ask you for some information on how you’re going to be using the subscription messaging feature. As this is being reviewed by a real person, I’d recommend offering as much information as possible whilst keeping it succinct. As an ecommerce brand, you’re not going to be offering productivity or personal tracking updates so stick with News. Then, in the box below offer a little explanation of exactly what kind of news you’re going to be updating people with. Remember, you can’t focus on promotions. You have to keep it news based. I’ll run through some examples in a minute which will be great for the next section. On the next section, you have to provide 2+ examples of what sort of messages you’ll be sending. As you can see from the examples, anything strictly promotional is a no-no. So this is where you could trip yourself up. To ensure you fro get permission to send subscription messages you have to make it clear you’re not going to send promotional content outside of the 24-hour window. That’s more difficult than it sounds and, to do it effectively, we have to go back to the strategy of your Messenger marketing. At its core, Messenger marketing – especially with Recart – is great at transactional messages. Someone looks at a page and takes an action which then triggers a message. The message takes the user directly from their Messenger account to the checkout, right? It’s easily within the 24-hour window of regular messages and so means you’re able to promote products. But with subscriptions, you’re trying to re-engage users. You can’t do that by sending them directly to a checkout as it breaks these new rules about being promotional. I’m by no means a master of this, so take what I say here with a pinch of salt. I have, however, submitted numerous requests for subscription permission and discovered a couple of things I think will get your permission request denied. 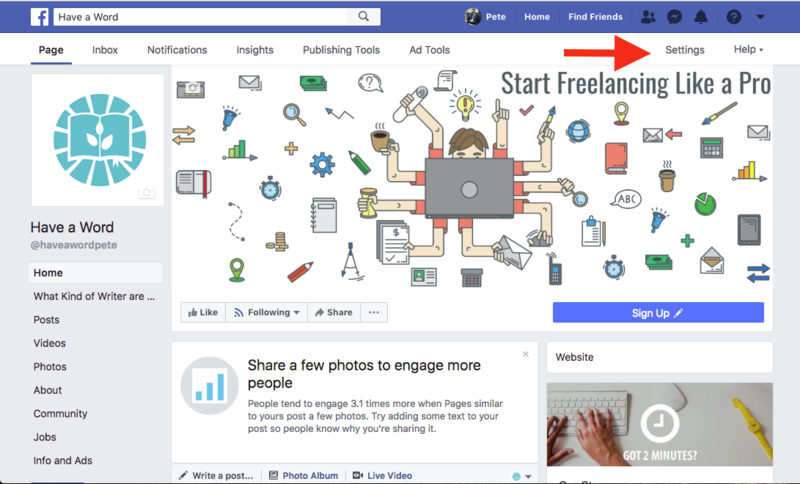 For the above-mentioned page that focuses on freelance workers, I focused on finding news topics I could promote. News is, after all, one of the three areas permitted by Facebook. I took a 2017 development in New York law that gives freelancers more rights when dealing with clients. The above was denied. I’ve also had other similar requests denied. When resubmitting it for review, I simply removed the mention of an included link, instead changing it to the outline they’ve provided on the submission form to “check out the site”. Here’s how it read after that amendment. A simple change that was then approved. It’s not ideal, but we’re all kind of working in the dark here. I’m not sure if we’ll be able to add one of the buttons that will open the blog page or append a question like “want to read more?” that then takes them to the site. My instinct is telling me no as mentioning I was going to include a link forced a denial for approval. However, I can’t see them leaving it as simple “check out the site” with no clickable link. I’m betting here, but I’m pretty sure we’ll still be able to use the buttons like the ones available in the Recart news instant message template. I’m going under the assumption that the above will be alright. As such, here’s what I’d recommend might work. Instead of going straight to the checkout with your subscription messages outside the 24-hour window, redirect people to a relevant blog post. For example, if you sell watches, an article that details a “recent” development in manufacturing and quality can be used. You write the message that says something like “New manufacturing methods are producing more accurate watches – read more about it here” or something similar. That then directs them back to your store where you can use some smart placement to push more products, but it also resets that 24 hour period so you can send promotional material again. This method of using “recent” news to keep people engaged could be the workaround we all need. I put recent in commas because it doesn’t necessarily have to be from the last 24 hours but could be a few weeks/months old depending on the industry. It’s a workaround that’s not going to be required for the next few months, but it’ll be good to get into the practice of it now. The change for subscription messaging won’t affect anything you send within the 24-hour window +1 extra message. That means your current Recart messages aren’t going to be affected as long as only one cart abandonment notification is sent after that 24 hour period (easily set up with our timing). However, it will affect you if you’re also re-engaging past customers through Messenger. 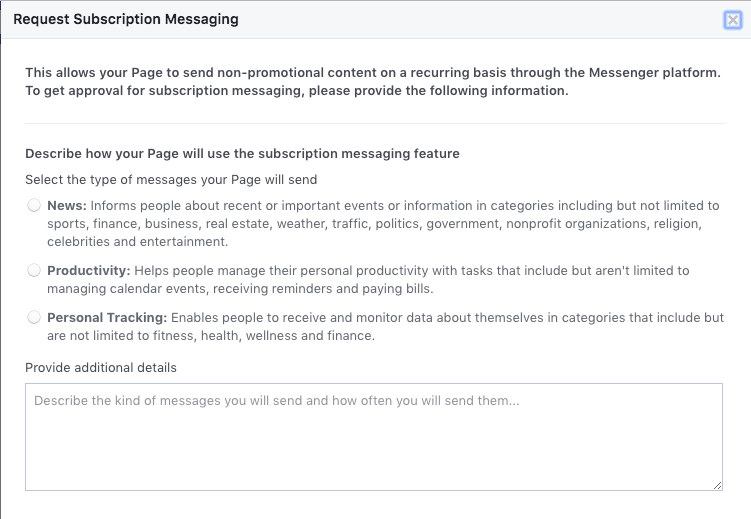 The rules aren’t too different from how they are now, but the change to page level subscriptions makes me think that Facebook are going to become more serious about penalties, especially as this is going to be a new revenue stream for them. If you’ve got any questions, feel free to drop a comment or reach out to our customer success team.